Getting into college has never been more complicated or competitive. Parents and students need expert guidance to navigate the maze of college admissions. 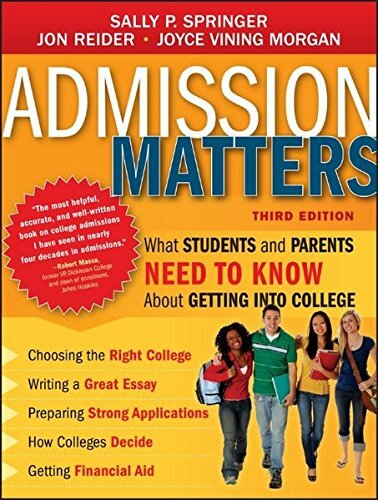 This thoroughly updated edition of Admission Matters is the best source, covering the whole process for any applicant. The authors offer great practical advice for selecting the right school, writing effective essays, navigating financial aid, and much more. No matter what type of school a college-bound student may select, Admission Matters will give them the edge they need. This is an essential handbook for any family facing the college admission process.